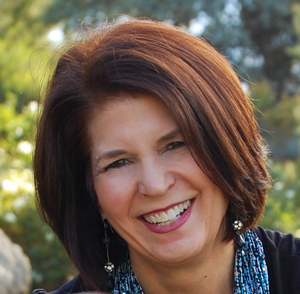 For the last 14 years, Renee Tresko has led an active and full studio serving students in Poway, Del Sur, Rancho Bernardo, Escondido, San Marcos and Valley Center. Renee is a member of the San Diego Flute Guild, The National Flute Association, The Carnegie Hall Royal Conservatory and both the Kodaly and Suzuki Associations. She is currently serving a second term as a board member of the San Diego Flute Guild. Renee now offers preparation and training for The Carnegie Hall Royal Conservatory Music Development Program. This program provides a recognized national standard of musical success through an effectively sequenced course of study from beginner to advanced levels. Each level requires the study and demonstration of skills in ear training, music theory, technical proficiency of scales, arpeggios, and the performance of etudes and repertoire selections from a variety of styles and historical periods. As students achieve the requirements of each level, a high degree of musicianship is developed, and hopefully a love and ability for a lifetime of making music is firmly instilled! Renee is the Director of the very successful Flute Steps Summer Flute Camp. It is named this because we accept each student wherever they are in the flute playing process – we’ve had students from age 4 – 65 yrs old! Two wonderful nationally recognized teachers - Gerald Carey and Sue Gillio, fly in from the Chicago area to teach at the camp, and students greatly improve existing skills throughout the week as they apply themselves to finger work, solo preparation, and A LOT of ensembles! As an outgrowth of the enthusiasm for flute ensembles Renee coordinates a flute choir that will resume in January 2014. This ensemble is wonderful for all ages and abilities and is a needed outlet for ensemble experience when the school programs do not meet student’s needs. For more information about how you can join, please contact Renee. A big part of Renee’s passion for the flute is in designing and crafting artisan flute stands and other innovative accessories for flutists and music teachers. She and her husband do the woodworking together. Their products can be viewed and purchased at www.Lyricraft.com. It is a fact that students practice much more if their instrument is easily acceptable on a sturdy flute stand – ready for action! Below are the lessons openings for Renee Tresko. Please find a time below and click the "register" button to sign up for a class. Don't see the class time you are looking for? Sign up for this teacher's waitlist below.